We went to Guimaras last March 2, 2013 and stayed at Guisi Clearwaters Resort. We first went to the famous Guisi Lighthouse. Paolo read on the internet that there are rooms available near the lighthouse so we were hoping we could stay there. The caretaker was very accommodating. However, he told us that we should have made a reservation first because they still have to prepare the rooms for expected guests. The rooms are located on top of a hill, overlooking the lighthouse and the sea, and water supply has to be carried all the way to the top if there are occupants. That’s the reason for the advance notice. He suggested we try the nearest resort, the Guisi Clearwater Resort around 500m away, and if there are no vacant rooms then he would prepare the room for us. We were kind of disappointed, because we liked the lighthouse area very much. 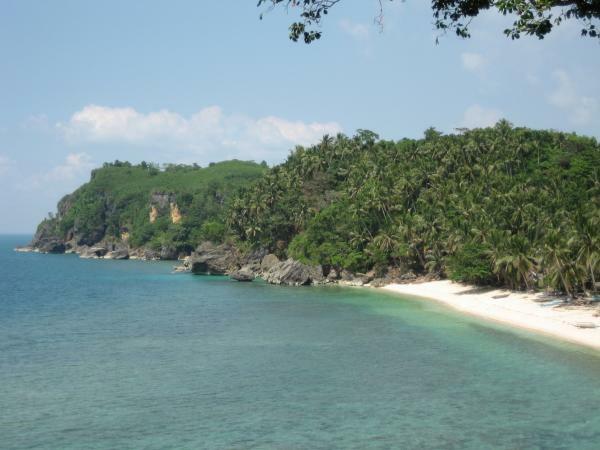 It was situated on top of a hill, and you can see the clear waters below the hill, the white sand beach on the right. Trying the Guisi Clearwaters was a good suggestion though, because we liked the room that the Guisi Clearwater staff gave us. And there were no other guests, so we kinda had the resort all to ourselves. 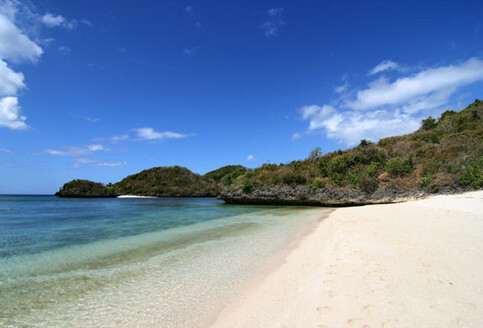 One of the beautiful beaches you’ll see during island hopping. 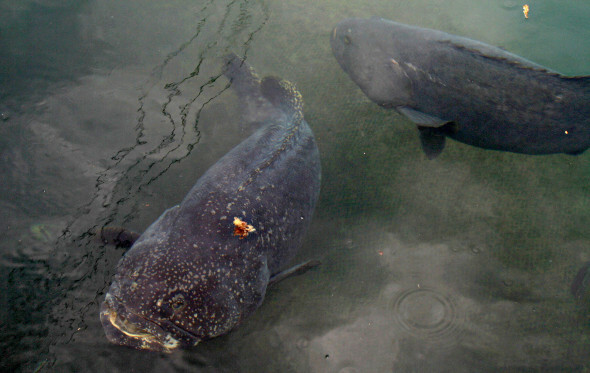 We also went to SEAFDEC, where I saw the biggest fish I’ve ever seen in my life. According to the staff, the giant grouper can live up to 50 years, and can grow as big as a beetle car. The one they have is around 15-20 years old, weighs around 100kls, and is almost 2 meters long. He said groupers are territorial and carnivorous, you wouldn’t wanna fall into their cage. Monster fish! 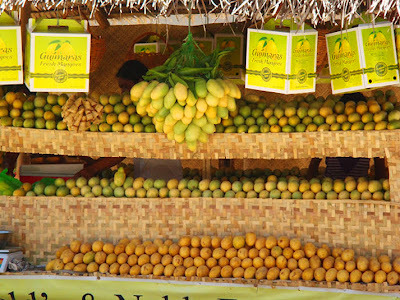 Before we went home the next day, we just have to take home a kilo, or 4, of the world’s sweetest mango.